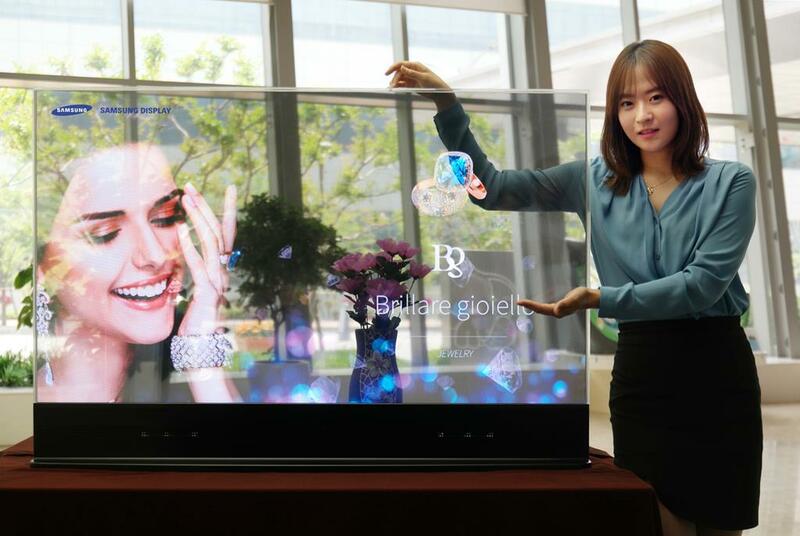 At the Retail Asia Expo 2015 in Hong Kong, Samsung unveiled the industry’s first Mirror and Transparent OLED display panels in a showcase for informational browsing and personalized shopping. The exhibition is a proof of concept from Samsung which shows just how these products can be used in consumer electronic devices as it demonstrates the first retail use of advanced commercial OLED panels. 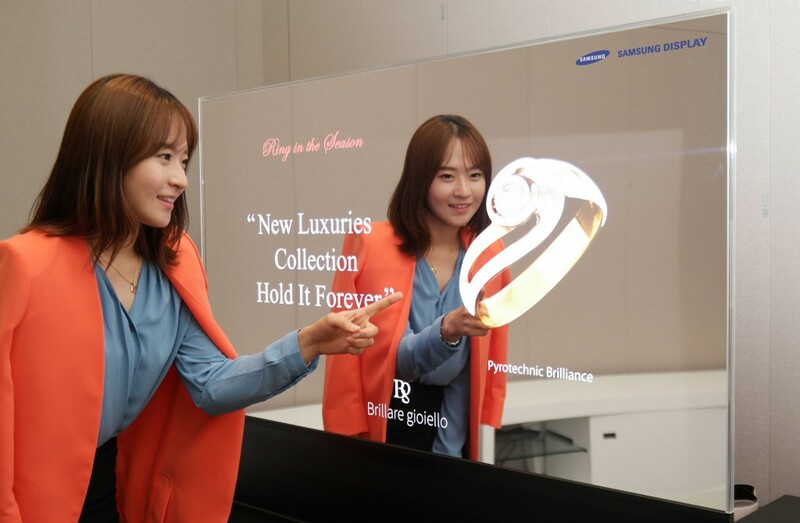 The new Samsung Display OLED panel is integrated with Intel RealSense technology which allows it to create solutions like an interactive closet or a “self-modeling” wardrobe which lets users virtually “see” how clothes or other items would fit them. The Samsung Mirror Display might replace conventional home mirrors at some point in the future, it will basically provide digital information services to users in the same space where they just have the mirror right now. The company says that its Mirror OLED panel will deliver at least 50 percent higher reflectance that competitive Mirror LCDs as well as significantly improved color gamut and exceptionally high contrast ratio. Moreover Samsung’s new mirror display technology does not require ambient backlight to display on-screen images. It hasn’t been revealed so far if these new technologies will soon be making their way into a consumer electronic device, but it wouldn’t be surprising to see some companies leverage these new OLED panels in their new products in the future.